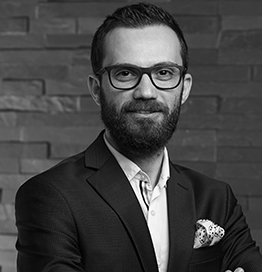 With more than 10 years of experience, Mathieu began his career at Ipsos MENA where he worked on advertising solutions and insights for major brands. He then moved to the media research department at Ipsos MediaCT where he worked on business development for various media and advertising agencies, before moving to MediaEdge: CIA (MEC) where he handled the research in MENA. In 2014, Mathieu made the move to Choueiri Group, and joined the newly created “Data Science” department. He handles projects related to research and insights, ranging from consumer to market and media research. Mathieu is passionate about music and is an accomplished bass player, a painter and a squash devotee.